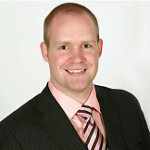 Tim Williams is One of Oregon’s Top 40 Under 40 Litigators! Congratulations are in order for Dwyer Williams Cherkoss partner and lead litigator, Tim Williams. Tim has been selected by the American Society of Legal Advocates as one of the “top 40 under 40” litigation lawyers in the state of Oregon for 2013. This selection was the culmination of am six-month process in which the American Society of Legal Advocates (ASLA) independently researched information on tens of thousands of lawyers and ultimately selected less than two percent to fill each of the Top 100 and Top 40 categories. Among Oregon lawyers, you’ll be hard pressed to find anyone who has taken more personal injury cases to trial than Tim. His tenacity comes from his firmly held belief that individuals and corporations that harm people or cause death must be held fully accountable. The competence and professionalism that Tim brings to the courtroom extends to his work with various organizations that have become a priority for this civically active lawyer. Tim holds and has held a range of leadership positions and he has also been admitted to practice before the United States Supreme Court – a distinction held by few. Congratulations to Tim for this new accolade!